Plenty of membranes are available on the market, each one with advantages and disadvantages. AQUA MEMBRANE also trains your staff before and during start-up and/or during plant operation. 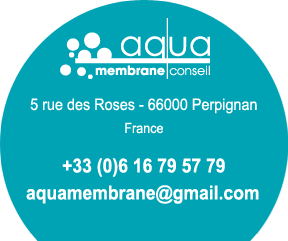 AQUA MEMBRANE offers to train your staff in membranes and their use: AQUA MEMBRANE training also trains your staff before and during start-up and/or during plant operation.